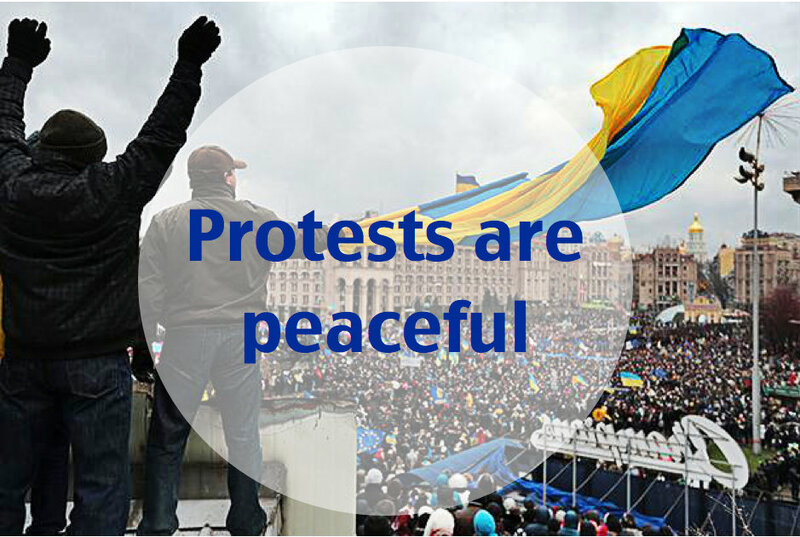 Protests in Ukraine against government have originated from users’ online activities and have been fueled with online discussions and dissemination of information through Twitter, Facebook and news sites. While government looses control on information flow, it might be interested to counter activities in Internet. Thus, it has happened in Ukraine. News sites covering protests have been placed under cyber attacks during last weeks. Unidentified actors try to silence some Ukrainian sites through distributed denial-of-service (DDoS) attacks as attempts to make a site unavailable to its intended users. 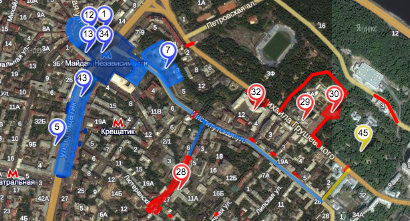 Cityband Euromaidan Yandex Map shows in colors main locations of Euromaidan supporters and their opponents in downtown Kyiv. It also provides brief explanations of locations. Earlier Ukrainska Pravda and Ukr.net announced they had experienced DDoS attacks on their sites. Volodymyr Klitschko and his fiancee, American actress Hayden Panettiere, address protesters on the Independence Square (Maidan Nezalezhnosti) in Kiev, Ukraine. They came to support protesters’ aspirations for European future of Ukraine. Note: Hundreds of thousands people came on streets in Kiev on December 1st to protest against police violence and government refusal to sign the EU Association agreement, a political and economical tool to bring Ukraine closer to European nations. Hundreds of students in Lviv, located in Western Ukraine, have appealed to the international community to support peaceful protests in Ukraine and respond on government’s violent acts. At the same time, the majority of rallies took place peacefully. At least 500, 000 Ukrainians participated in rallies yesterday in Kyiv. Citizens came to the streets with their families, thousands came from other regions.